A: I’m from Pemberton, and I actually moved back there last year from Vancouver. For the last 8 years I’ve been living between Vancouver and Melbourne, Australia. Q: What was it like growing up here? A: It was awesome! 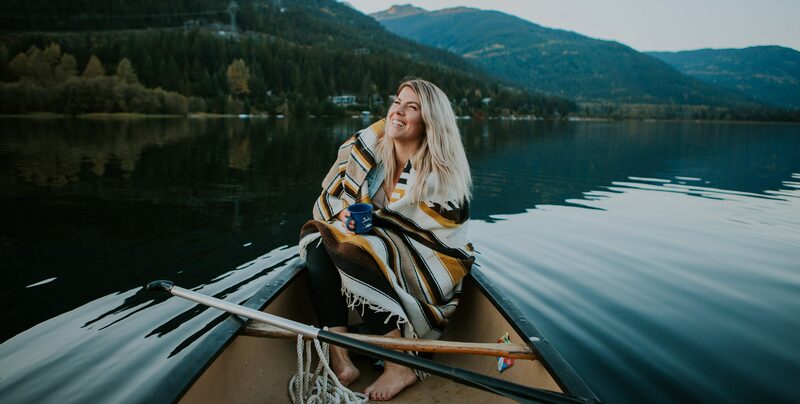 Growing up in Pemberton was a lot of fun – I’ve been fortunate enough to live in and experience so many incredible places throughout the years, but none of them compare to Pemberton and Whistler. My travels and time away gave me a greater appreciation of the special opportunities that both communities have to offer. A: I’ve always been involved in real estate with my parents being in the industry, but I only made the jump to full time recently. When I was 21 I bought my first lot, built a house and flipped it, and did that twice. So, I’ve always had huge interest in real estate, just not always as an agent. A: Everything! I love to ski and hike. I try and spend as much time as possible outdoors. I picked up sledding last year and It’s becoming my new winter hobby. I love that it’s laid back in so many ways, but there is still so much going on. Even though there is so much to do, there is still a small community feel. A: Be open and flexible with what you want and where you’re looking. For example, if you’re looking for a place in Whistler, have a look in Pemberton, it’s only a 20 minute drive. Also, have everything ready before you look. In this fast paced market, being pre-approved and ready to buy makes a huge difference. A: Not only helping them find what they want In home or property, but enjoying the whole process with them. I think it’s important to be able to have fun a long the way. Investing in property is an exciting move and it doesn’t have to be all stress and numbers. A: There was a short time where I was singing and pursuing music as a career. I still have a huge love for it, but I enjoy doing that more so as a hobby than a career. Q: What’s your favourite season and why? A: I love summer! Especially living in Pemberton. It gets hot enough that you almost feel like you’re on a tropical vacation. I spend as much time at the lake as possible. A: I go for runs or pick up my guitar. I love spending time with friends and family and walking around the village. A: I think moving across the world and setting up life in general without anyone else was pretty big! Either that or building my own house at 21! A: For the quality of life – It’s like a lifelong vacation! To find out more about Katelyn and view her listings, click HERE.